A fun and flirty heart garden! 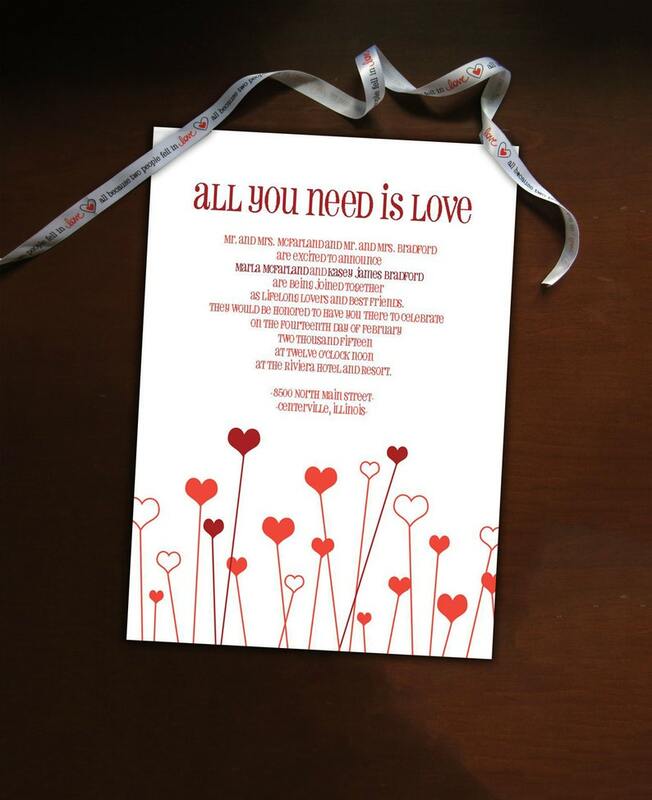 Inspired by the unforgettable Beatles song, All you Need is Love, this invitation is sure to add that extra bit of fun to your evening. Customize the colors to fit your style, all on your own computer. 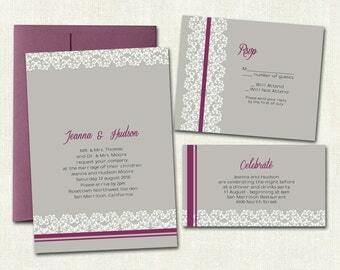 Perfect for the budget-conscious bride, you can get designer invitations at a fraction of the cost! -2 other designs (may include Save the Date and/or RSVP and/or Info card) each measuring just larger or just smaller than 3.5x5", (about 1/4 regular sheet of paper) depending on the design chosen. This is a Microsoft Publisher file. Microsoft Publisher is a program that usually comes with Microsoft Office Suite. I have recommendations on how and where to print, as well as paper suggestions here: http://natalieraevsky.weebly.com/how-it-works.html. It's pretty. Since getting this template was a last minute decision for me to get for my wedding invitations I had to do what I could do to get them out. Printed out crooked. Even looked crooked on the computer screen before I did any editing of information. I didn't notice it until after my invites were printed up. Overall it's a nice template. Maybe it'll look better another time where I may need to use it. Item was perfectly as described. Natalia was very helpful and flexible with what we wanted. Thank you! Exactly what I wanted for my winter wedding! Received several compliments from my guests. One piece of advice for anyone downloading the fonts; the fonts need to be downloaded on the computer which is doing the printing. I downloaded the fonts on my personal computer and then saved the invite to my USB to bring to the printing company. The printing company didn't have the fonts on their computers so it went to default Times Roman. We ended up having to save the Word document to a PDF file. Just wanted to give the heads up. I accept several payment options, including PayPal and credit cards. If you have a questions, please contact me. Because of the nature of my digital designs and the time invested in personalizing the designs, once you have downloaded the digital file OR I have customized a design for you in any way and sent you an e-proof, no refunds will be sent. I work very hard to make my clients happy, so if your design isn't perfect, I will make as many edits as necessary to make it so. Please keep in mind what changes are included and what changes are extra when you purchase your listing. All of the digital designs and photographs on my shop are my property, unless clearly noted. Please read these points carefully. If you have any questions, please feel free to ask. I am not trying to trick you into anything, so if you are unsure of something, please ask for an explanation. These points are here to benefit YOU as much as me. -All designs are my property and are protected by copyright and other intellectual property laws and treaties. -You may use the design for your OWN personal purposes and may print as many as you'd like however you'd like. -You cannot re-sell, trade, or transfer the ownership of a file. -You cannot claim that the design is yours. -You can display images of your design online however you'd like, just make sure you credit me. -You cannot in any way make money on my designs. -Personalization /customization of any design is not started until after the listing is purchased. -Because of the nature of digital designs and the time invested in personalizing the designs, once you have received the digital file OR I have customized a design for you in any way, no refunds will be sent. I work very hard to make my clients happy, so if your design isn't perfect, I will make as many edits as necessary to make it so. Please keep in mind what changes are included and what changes are extra when you purchase your listing. -Any designs personalized/customized by me, are my property and I may use the finalized design for my business purposes (like on my website, and for advertising). 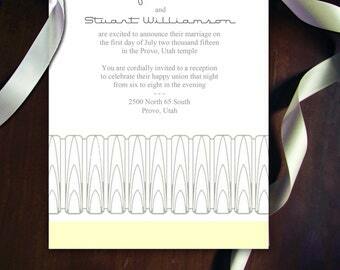 I will never reveal personal information of any of my clients and will use discretion when displaying the designs. Most of the time I blur/remove last names, dates, and locations on my images, but if you are worried about me using your image, please email me. -By purchasing the Etsy listing for a digital design, you are agreeing to these policies.